Humans are a puzzling species. On the one hand, we struggle to survive on our own in the wild, often unable to solve basic problems, like obtaining food, building shelters or avoiding predators. On the other hand, human groups have produced innovative technologies, sophisticated languages, and complex institutions that have permitted us to successfully expand into environments across the globe. What has enabled us to dominate such a vast range of environments, more than any other species? The Secret of Our Success lies not in our innate intelligence, but in our collective brains—in the ability of human groups to socially interconnect and to learn from one another. Drawing insights from lost European explorers, clever chimpanzees, hunter-gatherers, neuroscientists, ancient bones, and the human genome, Joseph Henrich demonstrates how our collective brains have propelled our species’ genetic evolution, and shaped our biology. Our early capacities for learning from others produced many innovations, such as fire, cooking, water containers, plant knowledge and projectile weapons, which in turn drove the expansion of our brains and altered our physiology, anatomy and psychology in crucial ways. Further on, some collective brains generated and recombined powerful concepts, such as the lever, wheel, screw and writing. Henrich shows how our genetics and biology are inextricably interwoven with cultural evolution, and that this unique culture-gene interaction has propelled our species on a unique evolutionary trajectory. 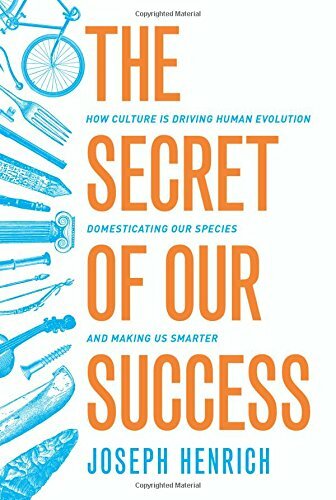 Tracking clues from our ancient past to the present, The Secret of Our Success explores how our cultural and social natures produce a collective intelligence that explains both our species striking uniqueness and odd peculiarities. Why Humans Cooperate takes a unique look at the evolution of human cooperation and tries to answer the question: why are people willing to help others at a cost to themselves? 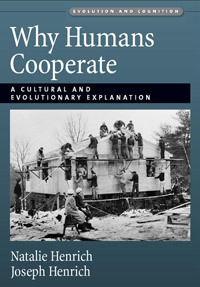 The book brings together evolutionary theories, economic experiments, and an anthropological case study that runs throughout the book to explain and illustrate human cooperation. Using an evolutionary framework, Natalie and Joseph Henrich have expanded upon several diverse theories for explaining cooperative or ‘helpful’ behavior, and integrated them into a unified theory. 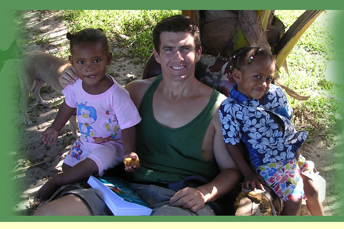 Established concepts such as kin selection and reciprocity have been linked with theories on social learning and our evolved psychologies to explain the universality of human cooperation—as well as the distinctive ways in which cooperative behavior expresses itself in different cultures. The theories developed in the book are brought to life by examining the Chaldeans of metropolitan Detroit. By exploring Chaldean cooperation, theoretical concepts are shown to translate into social behavior, and universal psychologies for cooperation lead to culturally-specific norms, beliefs, and practices. The book also introduces a series of economic experiments that help us understand why, when, and to what extent people are willing to help others. These experiments also highlight the variation in behaviors across cultural groups, even when all the groups rely on the same cognitive machinery and evolved psychologies. The merging of theory, experiments, and the Chaldean case study allows for an in-depth exploration of the origins and manifestations of cooperation. Over the last decade, research in experimental economics has emphatically falsified the textbook representation of Homo economicus. Literally hundreds of experiments suggest that people care not only about their own material payoffs, but they also care about such things as fairness and reciprocity. However, this research left a fundamental question remain unanswered: Are these non-selfish motives a stable aspect of human nature; or, are they substantially modulated economic, social and cultural environments? 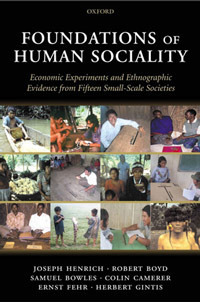 Prior to this book, the available experimental research could not begin to address this question because virtually all subjects had been university students, and while there are cultural differences among student populations throughout the world, these differences are small compared to the full range of human social and cultural environments. While a vast amount of ethnographic and historical research suggests that people's motives are influenced by the economic, social, and cultural environments, such methods,can only yield circumstantial evidence about human motives. As the longstanding disagreements within the cultural and historical disciplines attest, many different models of human action are consistent with the ethnographic and historical record. 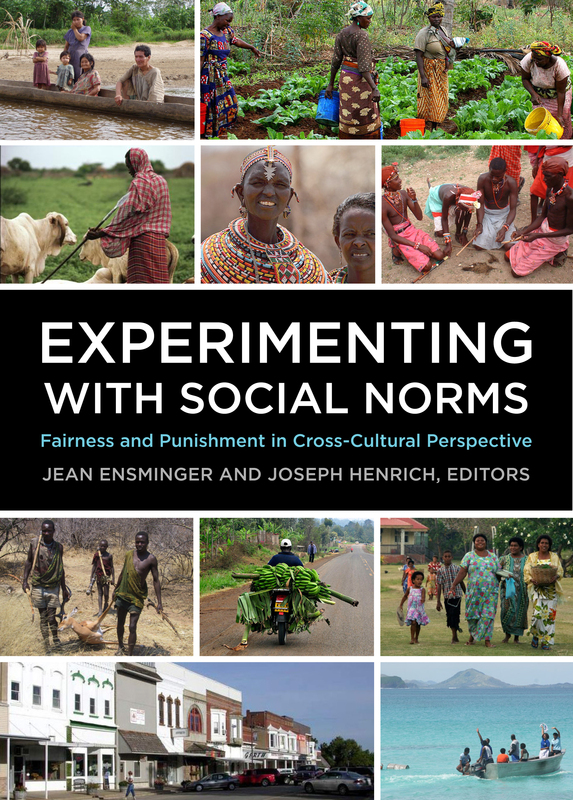 In both testing the universally of previous findings, and in bridging the mythical chasm between ethnographic and experimental approaches, this volume deploys some of the principle experiments (which have been used to show non-selfish motives in university students) in combination with ethnographic data to explore the motives that underlie the diversity of human sociality. Twelve experienced field researchers performed the same experiments in fifteen small-scale societies exhibiting a wide variety of economic and cultural conditions. Our results can be summarized in five points: first, there is no society in which experimental behavior is consistent with the canonical model of rational self-interest; second there is much more variation between groups than has been previously reported; third, differences between societies in market integration and the importance of cooperation explain a substantial portion of the behavioral variation between groups; fourth, individual-level economic and demographic variables do not explain behavior within or across groups; fifth, experimental play often mirrors patterns of interaction found everyday life.